Don’t believe it? Well, look… you’re back in school and you’re not in the same grade, right? That officially makes you smarter than the kids who are now in the grade you were in last year. And that counts for something, doesn’t it? So how can you best display this incredible intelligence you’ve got in your noggin? 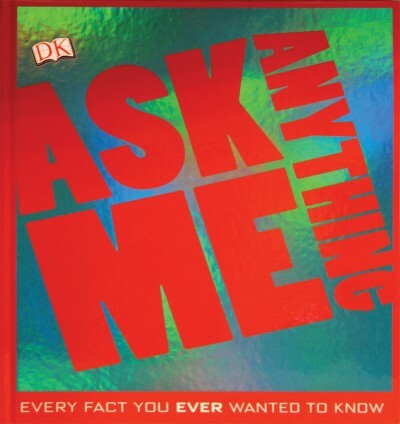 Get even smarter by reading Ask Me Anything: Every Fact You Ever Wanted to Know. And then warn your family, because your smarts might scare them. Let’s say you’re studying space travel in school and the teacher asks the class a question. Put your hand up and keep it in the air if you’ve read this book. You’ll know all about how space affects the astronauts’ bodies, what kinds of things they like to do while in space, where the word comes from, and how you can become an astronaut. Or let’s say your brother or sister is a big dummy. You’ll be able to help him or her with homework if you’ve read this book. Learn about the top five most dangerous spiders, how your lungs work, when toilet paper was invented, and why you should think twice before moving to Istanbul. Ask Me Anything is a great book to have lying around the house for several reasons: For kids who need a homework break, it’s a quick, fun diversion. For young brainiacs, it’s informative but not stuffy. For curious kids, it fills their minds with kid-friendly information. And for adults, it’s browse-able and a great argument-ender. If you’re looking for something light but informative to have around for your 7-to-15-year-old this is just the ticket. 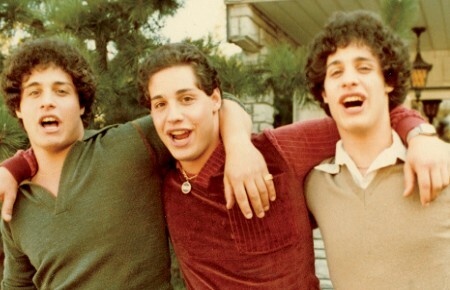 Ask Me Anything is a book they’ll be asking for.